Creative Spotlights are a column by Brandon Teteruck highlighting industry talent in anime. This week looks at the creative team behind the cyberpunk epic, Texhnolyze. Changing things up, the spotlight for this week doesn’t focus on a single individual, but rather the creative team behind the cyberpunk epic, Texhnolyze: director Hiroshi Hamasaki, producer Yasuyuki Ueda, character designer Yoshitoshi ABe, and scriptwriter Chiaki J. Konaka. 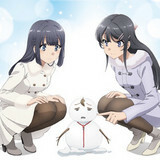 Texhnolyze is a recent addition to Crunchyroll’s catalogue of anime, and it’s one of the most viscerally powerful shows in their library. Originally airing in 2003 and produced by animation studio Madhouse, Texhnolyze was created during the cyberpunk anime boom and still has a strong cult following to this day. Painting a bleak vision of a slowly decaying world, the anime is like the death metal funeral of its genre. Dominated by its powerful soundscape and imagery, Texhnolyze is a brutal yet contemplative look at human struggle, a cybernetic arms race, and anarchy. Its ruthless depictions of violence and Lovecraftian symbolism (courtesy of scriptwriter Chiaki J. Konaka) are not for the faint of heart. However, for those that are able to look past that, they’ll find a meditative anime born from the minds of its brilliant creators; there’s nothing quite like Texhnolyze in anime. Set in the sprawling underground city of Lux, Texhnolyze follows the story of a stoic prize fighter named Ichise. Waking up in a dilapidated underpass with no memory of what has transpired, our first view into Texhnolyze’s world are through Ichise’s eyes. His emotionless face serves as an honest vantage point as we see him wandering the abyss of a dark and foreboding underworld. Ichise’s first steps are without a destination, but they reveal so much about the state of the world around him. Surrounded by silence and distorted scenes of architectural decay, his detached expression speaks more than any dialogue would. Driven entirely by diegetic noise and poignant imagery, Texholyze’s first episode is not one to forget. With Ichise’s journey culminating in a disturbing sexual encounter and the dismemberment of one of his arms and legs, the anime establishes an unshakable precedent for its chaos. The opening scenes of Texhnolyze are some of the strongest moments of cinema to come out of a TV anime, and highlight the best work of director Hiroshi Hamasaki’s career. The anime has a distinctive visual ethos which is defined by Hamasaki’s washed out color palette and blinding white lighting. Lux is a barren wasteland ruled by crime and mafia, with its inhabitants being more lifeless than the city itself. Although the flames of rebellion linger beneath the surface, people have accepted their state of hopelessness and entered a dormant state. Hamasaki’s directing style is the perfect complement to the cold and unforgiving world that scriptwriter Chiaki J. Konaka creates throughout Texhnolyze. He emphasizes sound and scenery in any given scene, creating a mood more for the audience as opposed to one that reflects the characters’ experiences in the story. It’s an uncommon approach in anime, but is fitting of Texhnolyze as many of its human characters rarely show visible emotion. Rather than attempt to get the audience to emphasize with these characters, the director aims to paint more of an all-encompassing view of their existence. This is not to say that characters in the anime aren’t relatable or well-written, but rather that Hamasaki approaches Texhnolyze as more of an atmospheric art piece. The primary exception though is Ichise, who serves as the viewpoint character throughout Texhnolyze. Although he rarely speaks or shifts from his stoic demeanor, the key moments during the narrative where Ichise lets his feelings out are some of the most impactful in the series. 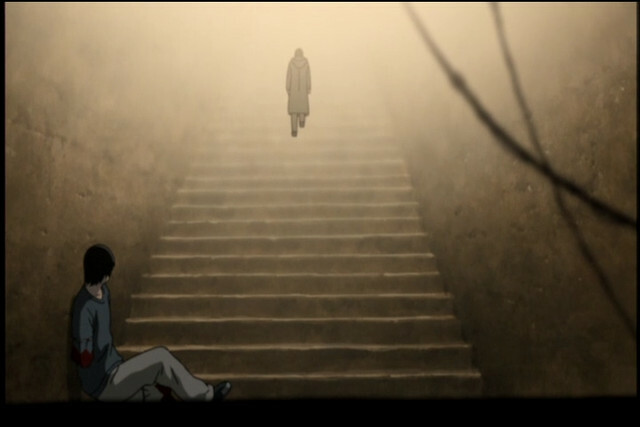 During the scenes where Ichise has to drag himself up a flight of stairs with his newly texhnolyzed limbs, we see a young man essentially give up all hope as his body fails him. Hamasaki’s silent long-takes are beautiful pieces of cinema that express deep sorrow and frustration. Ichise’s silent scream is without a doubt one of the most chilling moments in anime. While Hamasaki is a talented director capable of great cinematic feats, he owes a lot to Texhnolyze’s core production staff for the anime’s groundwork. Producer Yasuyuki Ueda has been the forefront of many imaginative and thought-provoking anime series. Back in the late 90s, Ueda formed a core team that he would work with on many productions. 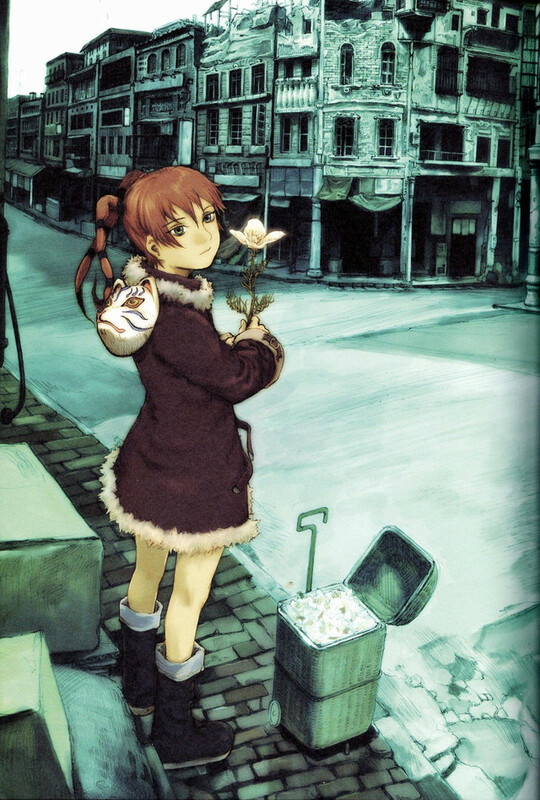 When he wrote the basic concept, setting, and story as a proposal for Serial Experiments Lain, he approached graphic artist Yoshitoshi ABe and scriptwriter Chiaki J. Konaka (individuals who he felt would be able to visualize his ideas). 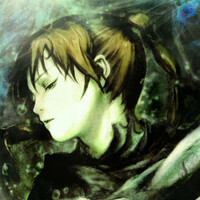 With ABe providing character and concept artwork and Konaka handling the TV screenplay, Lain was born. Ueda, ABe, and Konaka are all talented individuals who tend to create their most brilliant stories when in each other’s company. 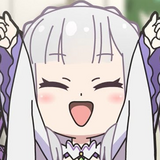 Ueda is a producer who plays an active role in the planning stages of an anime, cementing the project’s ideas, themes, and potential impact from the get-go. He then collaborates with other creators as they begin shaping his ideas into a more concrete story. For Ueda, he enjoys taking risks with animation projects and would rather create a piece that provokes a strong response from viewers as opposed to one that sold well. 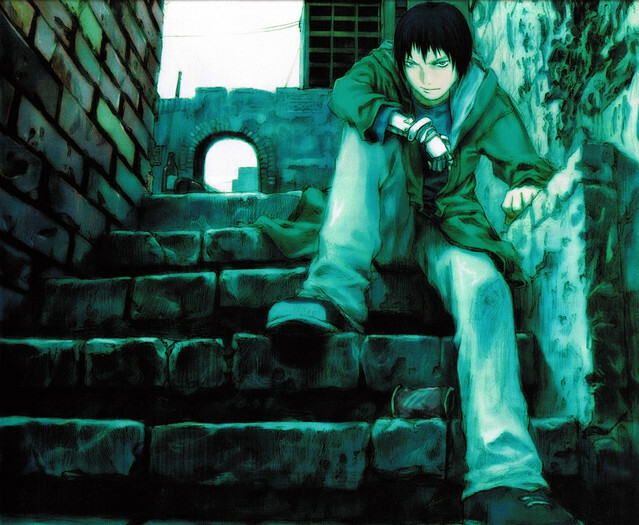 Serial Experiments Lain was a multimedia project that communicated the relationship between the self, technology, and the world to youth audiences, but was not explicit about what it stood for. Ueda wanted his audiences to interpret the show as they saw fit and find their own theme. With Texhnolyze, Ueda left most of its original planning to ABe, going off his original concept artwork for the anime. ABe has a distinctive art style with dark colors and edgy, sharp line work, with many of his dojinshi being stories conceptualized around an abstract theme. For example, Haibane Renmei was originally a short dojinshi about angels living in a strangely soothing state of purgatory that Ueda liked and adapted into a full-length TV anime. ABe’s artwork is not just striking to look at, as he’s very keen on expressing specific themes or emotions to his audiences. While he didn’t have as clear of a roadmap for Texhnolyze (compared to Haibane Renmei), he has stated in an interview that he was fascinated by the concept of an organic being with mechanical limbs. ABe had little experience drawing machinery, but wanted to design a story revolving around a character with a severed arm. 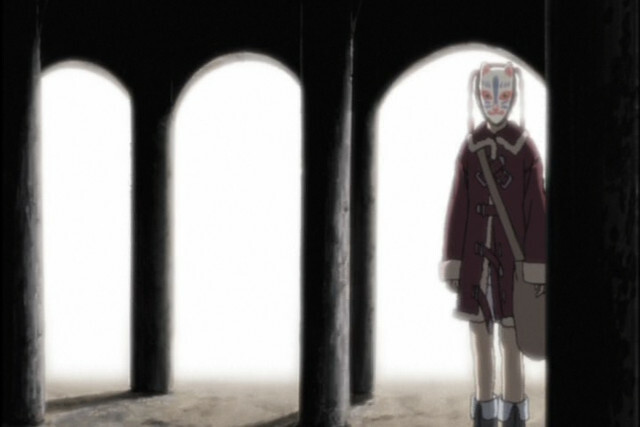 In Texhnolyze, he hoped to express the pain of loss to viewers with the narrative of Ichise losing his real limbs and having to live with a mechanical substitute. As a result, he wanted the first half of Texhnolyze to stress Ichise’s struggles as he slowly adapts to his texhnolyzed limbs. With Ueda and ABe forming Texhnolyze’s concepts and ideas, they left it to Konaka to script the anime’s scenarios. Konaka is a very unique scriptwriter in anime, as his primary influences are H.P. Lovecraft and Lewis Carroll. Many of the anime that Konaka had a hand in, such as Digimon Tamers, often contained heavy elements of Lovecraftian horror – and Texhnolyze is no exception. With the anime revolving around cybernetic body modifications, Konaka’s influence can certainly be seen during the series’ later half. Horror is a literary device that is very central to dystopian science fiction, and can be used to express people’s fears surrounding new forms of technology. Konaka builds off that literary theme in many disturbing ways with some truly haunting creations during Texhnolyze’s series’ finale. Texhnolyze is brutal in terms of its subject matter, but thoughtful in its approach. 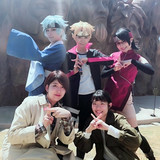 It is not an anime for the faint of heart, but is clearly a passion project born from the genius of its creative team. Very few anime can express pain, sorrow, and emptiness in such a raw and affecting manner. Cyberpunk anime are sadly a vestige of a bygone era, but Texhnolyze remains as one of the genre’s greatest achievements. Let us know your thoughts about Texhnolyze and its creative staff in the comments below!